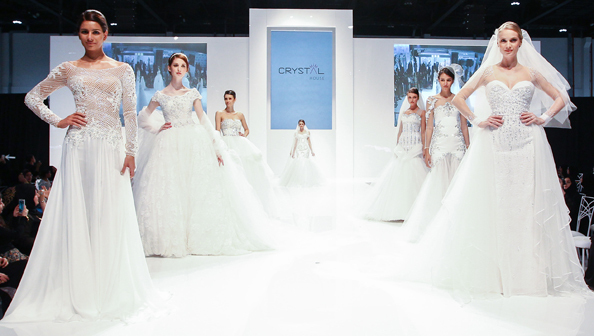 As the largest wedding event in the Middle East, BRIDE Dubai 2014 is a must-do for all ladies planning their nuptials. The exhibition, which is celebrating its 17th year, takes place in Dubai from April 2 to 5. Newly engaged couples will have the opportunity to experience every aspect of wedding preparations and gain valuable advice from industry professionals. This year Beyond Beauty Arabia has partnered with BRIDE Dubai for the first time, so expect a good helping of make-up, nail care, perfume and hair care on top of your usual wedding fair delights. This collaboration will allow soon-to-be-newly-weds to shop the latest looks and take advantage of exclusive promotions from a broad range of exhibitors. Aside from the many stands featuring top brands and businesses, there will also be regular live-demos and fashion shows featuring the latest collections from designers such as Dar Naseem Alandalos and Estilo by Haifa Al Sudairi. BRIDE Dubai event organisers recently conducted a survey in order to ensure the event reflects the latest wedding trends. A one-stop-shop for everything from wedding dresses to fancy cakes, venues and bridesmaids outfits, you can literally plan your entire big day in the one event. Results from the survey, which were taken from women in the UAE representing 95 nationalities, found that the most popular honeymoon type is a tropical island escape. In second place was a European city tour and adventure holidays ranked third.